The underlying work bears the designation S. 100. Cost: Score and Parts – Out of print. For availability information, see Discussion tab, above. 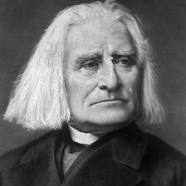 Mazeppa, S. 100, is a symphonic poem composed by Franz Liszt in 1851. It is the sixth in the cycle of thirteen symphonic poems written during his time in Weimar. It tells the story of Ivan Mazepa, who seduced a noble Polish lady, and was tied naked to a wild horse that carried him to Ukraine. There, he was released by the Cossack, which later made him Hetman. The composer follows Hugo's narrative, describing the hero's journey through the vast steppes in the first movement. The string section plays the main theme, which is transformed and distorted with six strokes of the timpani that evoke the fall of the rider. After a silence, strings, bassoon and horn soloists express astonishment of the injured, raised by the trumpets at Allegro Marziale. Mazeppa and his cossacks are placed in front of the army (a march is heard) and the return of the hero's theme signifies his end in glory. Mazeppa also had inspired Victor Hugo in Les Orientales and Lord Byron for his 1819 poem Mazeppa. The work premiered at the Court Theatre in Weimar on April 16, 1854. This arrangement was scored expressly for The Gilmore Band. Liszt, F.; Kindig, J. [19--?]. Mazeppa [score]. Carl Fischer: New York. This page was last edited on 15 January 2018, at 10:24.